A distributed system like grid can be viewed as hypothetical infinite storage system for storing large data entities. Frequently these large data entities can not be stored in one unique location. 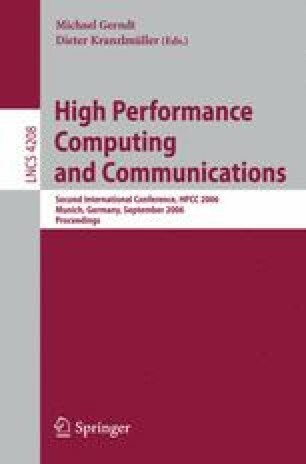 In this paper we propose a temporal storage space managed as a collaborative cache system where clients have a perception of this space as an unlimited temporal storage capacity. They use the temporal storage space to share and to reuse large data entities in a distributed way. Temporal storage space is composed of a set of autonomous caches that work cooperatively with individual caches are generic cache services deployed inside organizations and a specialized service to coordinate global operations that facilitate the cooperation between caches. Implementation issues of a prototype in Globus Toolkit 4 are discussed. This work is supported by the Région Rhône-Alpes project RAGTIME and the French Ministry for Research (ACI GGM).